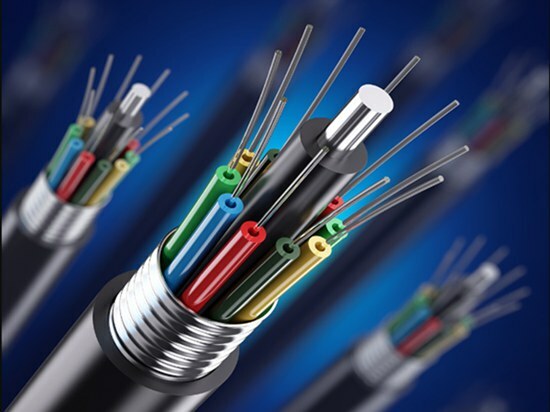 ﻿ Do you know the difference between optical fiber and optical fiber cable? Now many cables use optical fiber cable, because of optical fiber cable stability, the price is much cheaper than ordinary cable. The optical fiber is the main medium for the transmission of information, so before the study of optical fiber communication, we need to know the optical fiber structure and classification, optical fiber transmission principle and optical fiber. Many people have doubts for optical fiber and optical fiber cable and don’t know the difference between optical fiber and optical fiber cable. Let us understand this point first from the optical fiber and optical fiber cable meaning then sees the difference between them. What is optical fiber and optical fiber cable ? The optical fiber is a thin, soft medium that transmits light beams. In the actual optical fiber communication line, in order to ensure that optical fiber can be used for a long time under various playing conditions and in a variety of environments, it must be formed to optical fiber cable, because optical Fiber must be covered by several layers of protective structure before use, the cable that is covered is called optical fiber cable. So optical fiber is the core part of optical fiber cable, optical fiber through some of the components of the protection of the subordinate protective layer constitutes an optical fiber cable. The protective structure of the outer layer protects the optical fiber from the surrounding environment. Optical fiber cable includes optical fiber, buffer layer, and drape. optical fiber and coaxial cable are similar, but no mesh shield, the center is the glass core of light transmission. The optical fiber is usually tied into a beam, outside with the shell protection. Fiber Core is usually made of quartz glass that cross-sectional area is a very small double concentric cylinder, it is crisp and easy to break, so need a protective layer. So their difference lies in this. What are the advantages of optical fiber cable? Optical fiber cable is a new generation of transmission media, compared with copper media, optical fiber security, reliability or network performance has been greatly improved. Optical fiber transmission bandwidth is much higher than the copper cable, and support the maximum distance of more than 2 kilometers. It has the advantages of good anti-electromagnetic interference, strong confidentiality, fast speed, large transmission capacity. At present, there are two different types of optical fiber, namely Single-mode optical fiber and multimode optical fiber. Multimode optical fiber is generally used for network connections in the same office building or in areas with relatively close proximity. The single-mode optical fiber transmits data at higher quality, longer transmission distances and is often used to connect offices or geographically dispersed networks. If using optical fiber cable as network transmission medium, we also need to increase Ethernet to Fiber Media Converter and other equipment. Optical fiber cable as the main transmission medium of optical fiber communication, we should pay attention to the quality of optical fiber cable, especially when ordering optical fiber cable, we should consider many factors comprehensively.